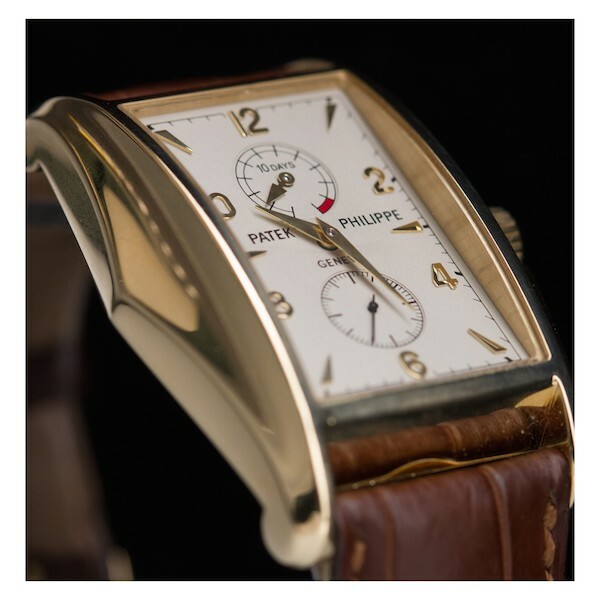 Home » Watches » What is the Patek Philippe Gondolo? 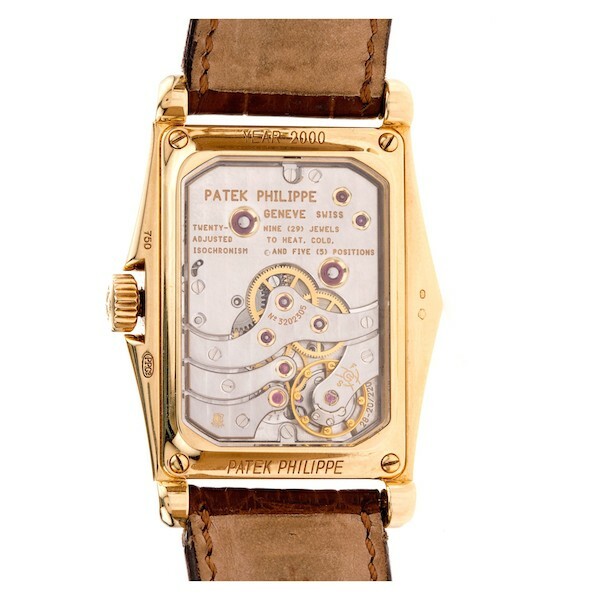 What is the Patek Philippe Gondolo? While some Patek watches, such as the Nautilus and the Calatrava, need no introduction, there are some less famous models that could benefit from some further investigation. 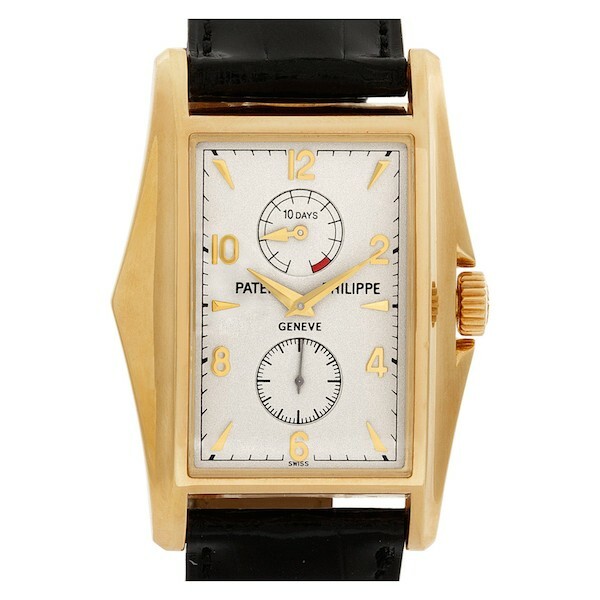 Take the Patek Philippe Gondolo collection for example. Officially launched in the early 1990s, yet inspired by vintage Patek watches, the Gondolo watch collection is worth a closer look. In 1872, Patek Philippe sold its first piece, a silver pocket watch, to Gondolo & Labouriau–a jeweler based in Rio de Janeiro, Brazil. This sale established a robust relationship (that would last until 1927) between the Swiss watch manufacturer and Brazilian jeweler resulting in thousands of pieces sold. In fact, sales to Gondolo & Labouriau represented one-third of Patek’s production during that time! These special Patek watches were destined for members of an exclusive watch collecting club, dubbed The Gondolo Gang. The 180-member club comprised of the Brazilian elite and membership required a commitment to purchase a Gondolo & Labouriau-commissioned Patek Philippe pocket watch retailing at 790 Francs. However, members were not asked to pay for the watch in full but rather to sign up for the “Plano do Club Patek Philippe System.” The system was set up to bill each member 10 Francs for 79 weeks. But, to keep things interesting, Gondolo & Labouriau held weekly lotteries to relieve one lucky winner of their future payments. 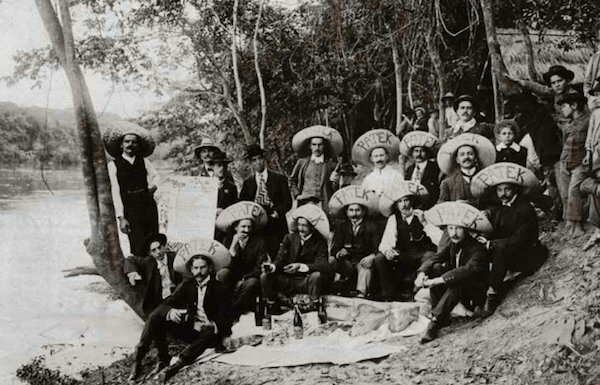 As a result, these weekly lottery drawings became lavish picnics where members proudly wore large straw hats emblazoned with PATEK on them. Following pocket watches, Patek Philippe also began creating wristwatches for Gondolo & Labouriau around 1910. Many of these watches were what we often call “shaped watches.” Shaped watches refer to non-round watch case silhouettes, such as square, rectangular tonneau or cushion-shaped. As a result, in 1993, Patek Philippe launched a new collection they named the Gondolo to house their non-round watches–many of which are vintage inspired. The white dial includes yellow gold hour and minute center hands along with yellow gold indexes, which alternate between Arabic numerals and triangular indexes. There are also two subdials on the dial. The lower one is dedicated to the running seconds, while the top one is the power reserve indicator. A closer look at the power reserve reveals that the Patek Gondolo 5100 has an impressive 10-day power reserve. The Patek Gondolo “10-Day” is powered by a COSC-certified manual-wound mechanical movement, wonderfully visible via the sapphire caseback. Complete with an elegant leather strap, this is one Patek shaped watch that is not only highly distinctive in looks but also mechanically impressive. 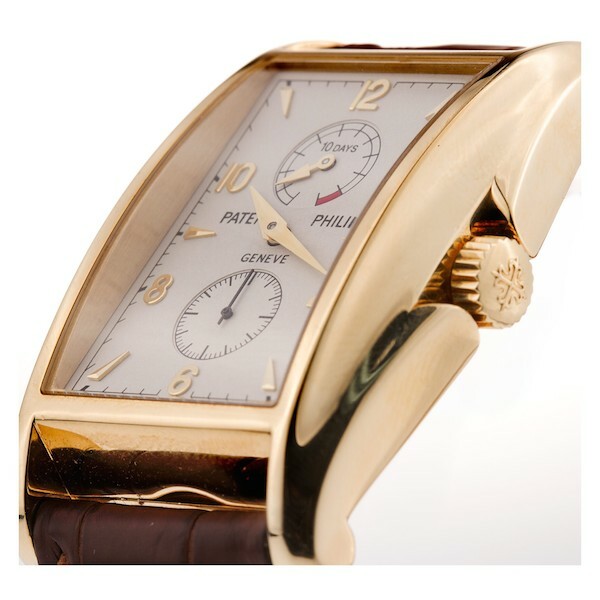 The Gondolo name is significant to the Patek Philippe brand. Not only does it recall an intriguing part of the company’s history, but today it also belongs to a set of modern Patek watches that flaunt unique shapes and designs. Gondolo watches are crafted for the true Patek Philippe enthusiast.